Following the defeat of the Third Reich in 1945, the political situation in West Germany was complicated to say the least. Although the Nazis had permeated every level of society, leaving few Germans “untainted”, the western half of the country had by default become a new ally against the Communist bloc. Political pragmatism required that the memory of Nazi horrors be suppressed. This political attitude inevitably affected popular culture; movies from West Germany tended to avoid recent history or to elide the more disturbing elements of that history. This wasn’t the case in East Germany, where exposing that history was useful in creating a Soviet counter-narrative in which Nazism became symbolic of capitalist corruption. While the film industry in the West concentrated on popular entertainment and diversion from harsh political realities, filmmakers in the East produced powerful indictments of the overthrown regime, such as Council of the Gods (Kurt Maetzig, 1950), Murderers Among Us (Wolfgang Staudte, 1946) and The Axe of Wandsbek (Falk Harnack, 1951). These films were willing to implicate different levels of society in the Nazis’ crimes. It wasn’t until 1958 that a West German film attempted to break this pattern. Perhaps at this distance Bernhard Wicki’s Die Brücke (The Bridge) appears politically reticent, but at the time it was made it was a radical departure. Based on an autobiographical novel by Gregor Dorfmeister (writing as Manfred Gregor), The Bridge attempts to create a realistic depiction of the tail end of the war as a small town faces the approach of the Allied armies deep into the homeland. In these final days the murderous Nazi regime turned suicidal, essentially demanding that all Germans die fighting rather than live on after Hitler and his followers were swept away. This was a time of madness when children were senselessly thrown into the path of the advancing Allies. But Wicki’s film is more than simply a depiction of the waste of war. The Bridge is a portrait of a community which is simultaneously waking up from its Nazi trance and disintegrating. Wicki skillfully sketches in many aspects of life in this small town, from the pampered hypocrisy of the local Party gauleiter to the stiff arrogance of the wife of a dead officer to a conscientious but ineffectual high school teacher and a number of ordinary people just trying to survive and get on with their lives. 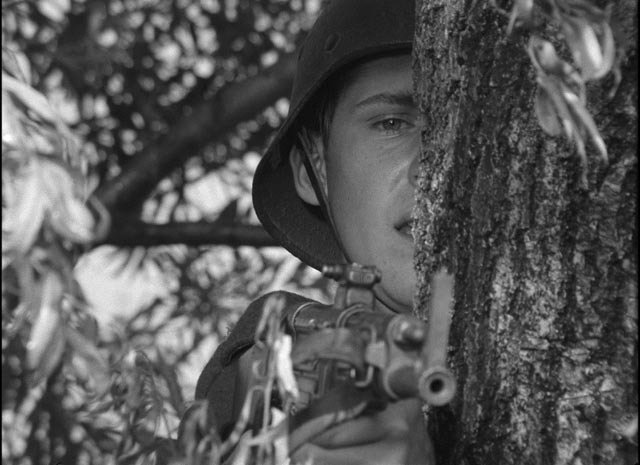 Against this background, the film narrows its focus to seven 16-year-old high school boys who receive their draft notices even as the German army desperately withdraws. Untrained, these boys are “spared” by being left behind to guard an insignificant little bridge. Unfortunately, it turns out that the bridge lies in the path of advancing American tanks and the boys find themselves caught alone in a completely pointless battle. While the film is concerned with this stupid waste of young lives, its larger point is that the corrupt system destroyed these boys long before the moment of battle. Having grown up knowing only the Nazi regime, the boys have completely internalized that insidious ideology, believing implicitly in the glories of death in battle and the absolute necessity of sacrificing everything in the name of the Fuhrer. While all the adults around them are scrambling to find ways to make it through the final days of the war alive, the boys enthusiastically rush towards their fate. Until, that is, the reality of fear, blood and death is brought home. The subtlest aspect of The Bridge lies in its treatment of the rising confusion between the boys’ blind enthusiasm and the discordant experience which suddenly undermines everything they’ve been taught. When the game of war becomes all too real, the perverse “innocence” of these boys brings disaster to the community they believed they were “defending”. It’s not the immediate presence of war which wastes these young lives, but rather the political system which has shaped their experience from earliest childhood and brought them to this final nihilistic point. It is here that Wicki’s and Dorfmeister’s subtle political critique becomes clear. The film doesn’t lay out overt accusations against ordinary Germans for their complicity with Nazism, and yet everything these boys think and do has been conditioned by the community which the film so carefully establishes in its first half. While the adults who knew life before the Third Reich have abandoned the regime, the boys have nothing to fall back on; they have never known anything else. The Bridge depicts the destruction of an entire generation at the hands of a corrupt ideology. 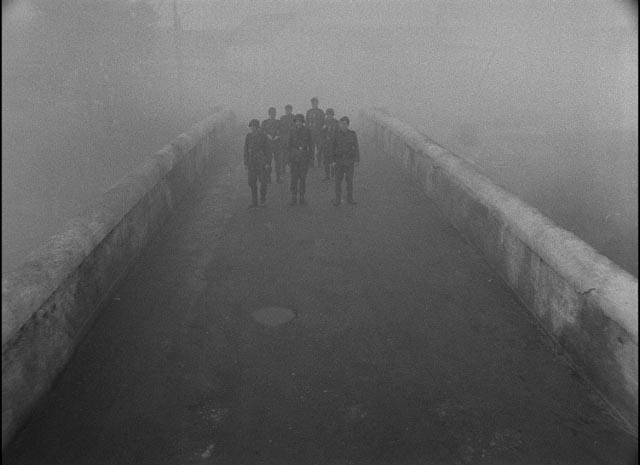 As Terence Rafferty says in his essay which accompanies Criterion’s release: “The anti-war films of the defeated have a particular kind of melancholy.” The Bridge is “purely sad”. These “soldiers” are still children, with all the confusions of childish emotions boiling beneath the veneer of soldierly excitement instilled in them by an insane society. Not only is it remarkable that Wicki was able to make this film when he made it; even more remarkable is that it was his first feature (he had made one previous film, a mixture of documentary and drama called Warum sind sie gegen uns? ). 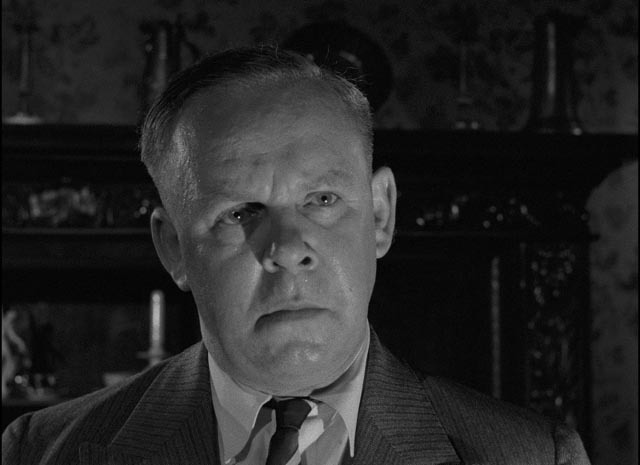 An actor himself, he draws excellent performances from his cast, particularly the seven boys who are all very convincing as their fantasies of heroism collapse in the face of real horror. 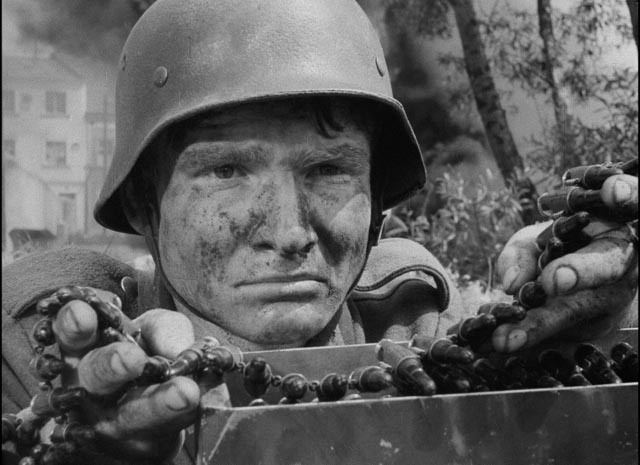 For the most part the larger action scenes are staged with real dramatic force despite the obvious budgetary limitations (with no cooperation from either the German or U.S. military, the production had to create fake tanks mounted over other vehicles, a fact all too obvious in some of the wider shots), but The Bridge is most powerful in its smaller, quieter details. Criterion’s Blu-ray offers a generally impressive 2K scan from a combination of the original negative and a dupe negative. There are some minor imperfections (occasional scratches and some fluctuating contrast), but the image is detailed, with a pleasing natural film grain. The monaural soundtrack is clear throughout, with the later scenes of battle very dynamic. Criterion has provided almost an hour of supplements, starting with an interview with author Gregor Dorfmeister (22:41), in which the author (now in his 80s) recounts his own experiences which were the basis for the original novel. He too was drafted a few days after his 16th birthday and put into an anti-tank squad. Although he says he had enjoyed being in the Hitler Youth because of its focus on sports, he adds that he and the other boys he so briefly served with “were stupid”; they had no idea what they were really getting into and he himself walked away from the squad and went home. When he returned the next day, all his friends were dead. A brief clip from German television (1989, 14:36) offers a rather awkward interview with director Wicki (he repeatedly corrects the interviewer’s errors of detail); here he talks about having been sent to a concentration camp in 1938, when he was 18 (apparently for left-wing activities). He also discusses his career as an actor and his turn to directing in reaction to the kind of films he was appearing in; he wanted to address real issues more directly. He makes clear that the boys in The Bridge are genuinely heroic, but that heroism and death in the wrong cause is ultimately meaningless. 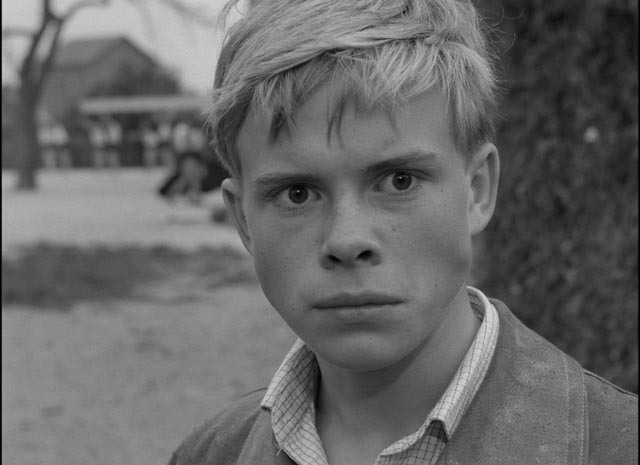 Director Volker Schlondorff (9:52) talks about the impact of The Bridge on a younger generation of filmmakers who had previously not seen a critical perspective on the war in German film. He refers to Wicki as “the godfather” of New German Cinema, saying that he became something of a mentor. What is perhaps most striking about The Bridge is its depiction of the boys as being so much more committed than the adults around them because the Nazi world is the only one they’ve ever known. Finally, there’s a short clip from Elisabeth Wicki-Endriss’ documentary about her husband, Against the Grain: The Film Legend of Bernhard Wicki (2007, 9:04). This contains some brief glimpses of Wicki working on The Bridge, but is largely made up of clips from the film. It’s a pity that Criterion couldn’t have included the entire two-hour documentary in this release (it’s available on the Region 2 DVD of The Bridge from Digital Classics in England) because Wicki had a fascinating career and made a number of other impressive films which the documentary deals with in detail. This entry was posted in Review and tagged Action, Blu-Ray, Criterion, Directors, German film, Violence, War Films. Bookmark the permalink.